LOSING to Louth last Sunday wouldn’t exactly have sealed Down’s Division Two fate, but it would have been a serious blow to their hopes of survival, never mind promotion. With 10 minutes to go in Drogheda the Mournemen were six points ahead and looking comfortable but then Louth hit back with four points on-the-spin and suddenly the result was up for grabs. The way Down raised their game from there to the finish will give manager Eamonn Burns and his backroom team almost as much satisfaction as the two points. 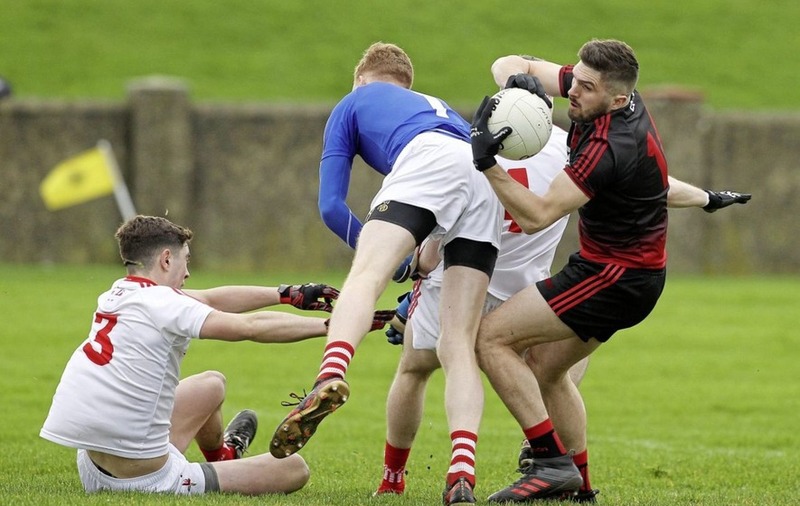 Full-forward Connaire Harrison provided the cutting edge to an encouraging effort from a team that included four League debutants by scoring late points off both feet before killing Louth off with a crucial goal. Afterwards the Glasdrumman man admitted he should have passed to Darren O’Hagan and sent him through on the Louth goalkeeper. “I should have given the ball off to Darren,” said Harrison. Would he really pass the ball with a goal in his sights? “Well...nah, probably not,” Harrison added with a laugh. The ground was heavy, the grass was long and a stiff, icy wind blew through the Gaelic Grounds throughout Sunday’s game. Down recovered from trailing by two points early on to lead by three at the break and weathered the storm from Pete McGrath’s men to win by six. “The pitch pulled the legs clean out of you,” said Harrison. “It was a good work-out, there’s a lot to work on but considering the way we were this time last year, when we got off to a bad start in the League, we’ll take it. On Sunday Down host a Cork side that was well beaten by Tipperary in their opener on Saturday night. The Mournemen forced a draw against Cork in their final game last season and that point – which brought their total to five – was enough to keep them in Division Two and set the foundations for a run to the Ulster Championship final. 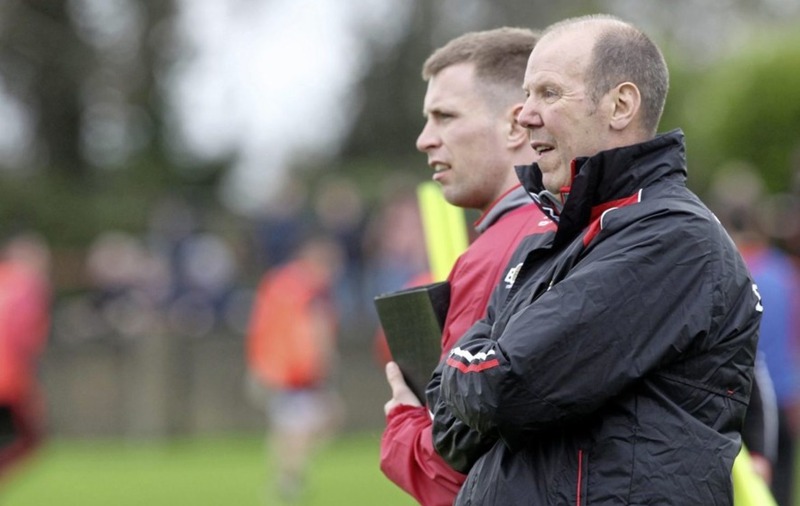 “We knew coming here that if we lost to Louth us and Cork would have been meeting next Sunday with the same mentality – we would both need a win and whoever had lost would have been in big trouble,” said Harrison. The 2017 Irish News Allstar added: “Confidence has made a big difference to us. “We’re a young squad and we have lost a lot of boys from last year. The thing about the young boys in the squad is they don’t have any fear, they don’t fear making mistakes.